The Veterinarian of the Year award is given to a veterinarian who has made outstanding contributions to the profession through service to local, state and/or national organizations. For someone who started out with an interest in oceanography, Dr. Gregg Takashima has done pretty well as a companion animal practitioner and as the owner of Parkway Veterinary Hospital in Lake Oswego. As part of his graduate studies in marine ecology, Dr. Takashima conducted research at SeaWorld and the Scripps Institute of Oceanography. Because he missed interacting with people, he soon charted a new course – one that led to his graduating from the veterinary program at the University of Minnesota. Throughout his career in veterinary medicine, Dr. Takashima has promoted the importance of the practice team and the value of veterinary professionals as caretakers of the human-animal bond. He continues carrying this banner as current president of the American Animal Hospital Association (AAHA) – an organization in which he has served as both a board director and now as an officer. 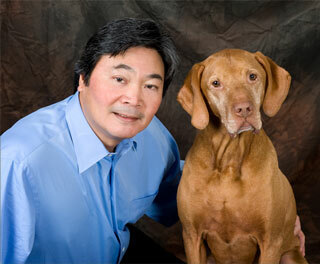 Dr. Takashima’s involvement with organized veterinary medicine extends beyond his representation with AAHA. He is the current U.S. delegate to the World Small Animal Veterinary Association, and he is the Immediate Past Chair of The Delta Society’s Board of Directors. In addition, he is a board member with the American Association of Human-Animal Bond Veterinarians. Dr. Takashima has also been active in local organizations. Earlier in his career, he was president of the Portland Veterinary Medical Association and president of the Dove Lewis Memorial Emergency and Critical Care Animal Hospital. Whether it has been at the local, the national or the international level, Dr. Takashima has been dedicated to the cause of animals and excellence in veterinary medicine. We are grateful for his contributions to both.